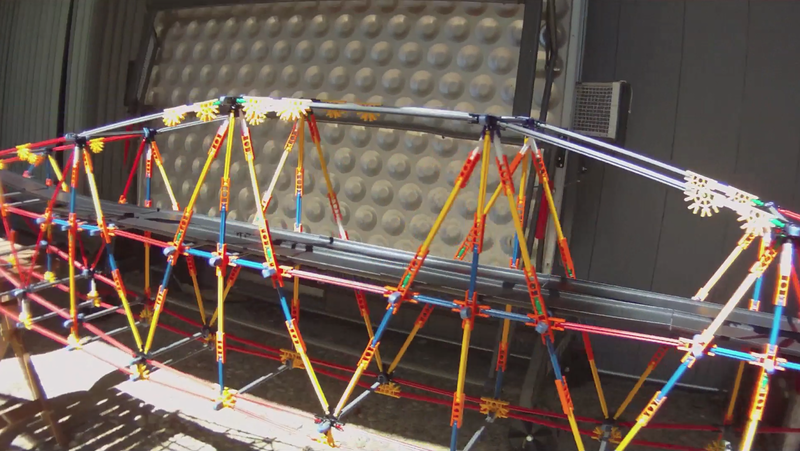 Last summer I bought a K'NEX bridge-building kit. It came with about two dozen different plastic shapes. I wanted to experiment with some ideas for bridges, but I discovered it was difficult to build a bridge where every element had a slightly different length. For my first project I built a lenticular truss, but I had to rebuild it several times before I figured out the best way to use all the pieces in the kit. K'NEX Lenticular Truss Bridge by Mark Yashinsky is licensed under a Creative Commons Attribution-NonCommercial-NoDerivs 3.0 Unported License.